With leisure time available, folks are entertaining right in their own yards, and fires tend to be a focal point. Creating a fireplace outdoors provides a gathering point. The soothing sounds of water relax and calm your nerves. Why not add a babbling brook? Or enhance near one for your pleasure? Landscape lighting is a large market. Getting lighting outdoors into your play areas for after dark use allows for a safe walk, and a can set a wonderful mood. Home gardeners love perennials, they are showy, not that expensive, and easy to install… that is after you’ve built them a proper home. Let us show you how to build a perennial bed to ensure years of enjoyment as you garden. 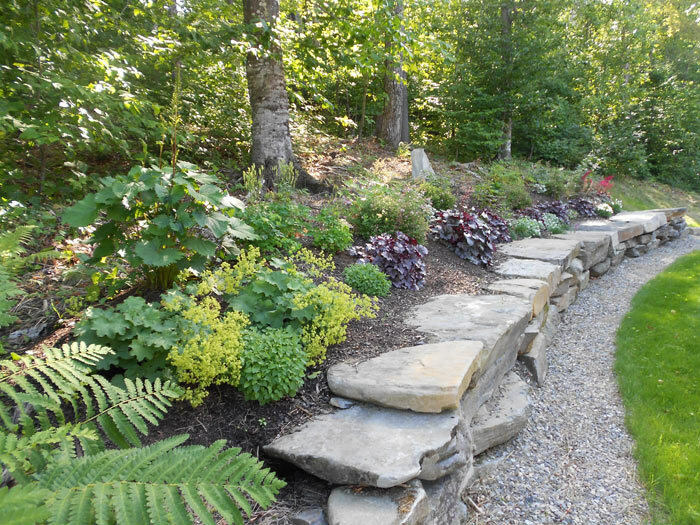 Choose native plants for reduced maintenance and that naturalized planting look. Many have lovely blooms, lush foliage, winter interest, and take much less care than their hybridized counterparts.